Water is a life-bestowing liquid that quenches your thirst and helps you live with optimal health and vigor. The quality of your drinking water is crucial to ensuring you get the most out of the water you consume. Microbial contaminants are not the only things that affect the quality of your drinking water. The acidity plays an important role as well. pH scale is one of the best tools to ascertain the acidity or alkalinity of water. pH refers to “potential of Hydrogen” in water. This simple logarithmic scale generally expresses the acidity or alkalinity of water from 0 to 14. 7 is neutral, any value below 7 represents acidity, while the values above 7 represent alkalinity. Neutral, balanced water is supposed to have a neutral value of 7! The thing to keep in mind is that pH is a logarithmic scale. It means that every change in one position on a scale represents tenfold increase or decrease as compared to the closest value. Water with a value of 5 is 10 times more acidic than the water with a pH scale standing of 6. In the United States, the normal range of pH in surface water systems is 6.5 to 8.5, while for groundwater systems it is anywhere from 6 to 8.5. 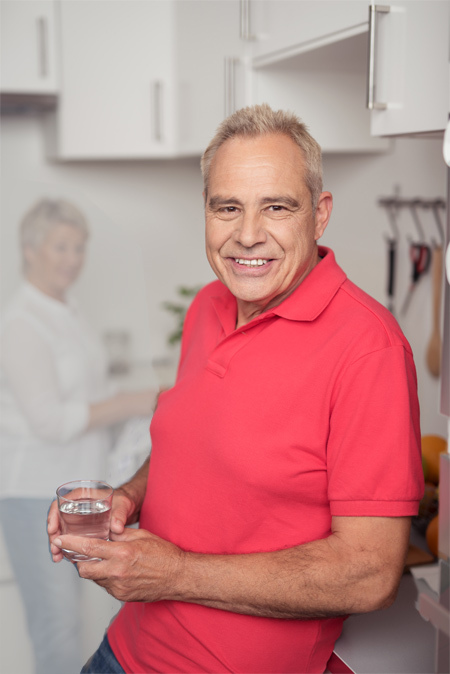 In some cases, the considerable acidity or alkalinity of the drinking water can be a cause for concern, as it may have some serious implications for your health and well-being. Human body generally maintains a controlled pH level that is slightly basic. Drinking acidic or alkaline water alone is not likely to significantly alter the acidity of your body. However, the corresponding properties of acidic water can be detrimental to your health. The acidic water is usually soft and corrosive, allowing it to interact with various heavy metals it comes in contact with. The corrosive nature of acidic H2O causes it to leach metal ions such as iron, manganese, copper, zinc and lead among others form the water bodies, piping as well as plumbing fixtures in your house. Acidic water has a sour or metallic taste, may hasten the corrosion or your pipes, stain your laundry and cause blue green stains on the sinks and drains. However, the aesthetic problems are the least of your worries. The high contents of toxic metals in your drinking water can have severe health consequences for you and your entire family. The increased lead levels in water may lead to problems like seizures, hearing loss and reproductive health issues. Lead is especially dangerous for children as it can hinder their physical and mental development. Exposure to increased quantities of zinc and copper can wreak havoc on your gastrointestinal system, leading to nausea, diarrhea and vomiting. Your kidney and liver function may also be severely affected. Metal toxicity is one of the main concerns associated with acidic water, especially among individuals with increased sensitivity. Alkaline water usually only raises aesthetic concerns. Water with a pH well above 8 is considered hard and basic. This alkaline water is bitter to taste and may not be perfect for cleaning and washing as it discourages formation of lather. Alkaline water may lead to formation of scale or precipitate on the inner linings of piping and fixtures, narrowing down their diameter and causing water pressure issues. Insoluble precipitates on clothing can also be expected if you are washing your clothes with particularly hard water. Hard water may cause formation of deposit or scale on dishes, utensils and laundry basins and negatively affect the function and performance of your electric heater. These annoying aesthetic nuisances are pretty much what you have to worry about with the hardness, as it does not cause any alarming health concerns. How to Test the pH Value of Water at Home? As it is apparent, acidic water can be downright dangerous for the health of your family. 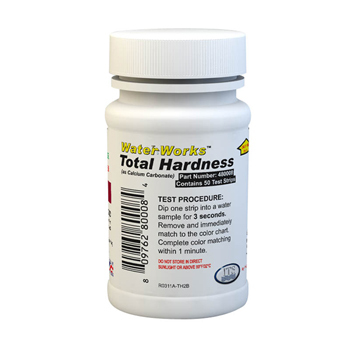 Basic or hard water may need some softening as well. It is important that you have a good idea of the pH of the water that is being used in your household. Some simple test kits are available at reasonable prices that conveniently allow you to do just that. One of the most convenient tools to test pH of drinking water in the comfort or your own home is the pH and Total Alkalinity Check Test Strips. These small strips allow you to test the acidity and alkalinity of your drinking water, by collecting a sample from tap, dipping them in for only 10 seconds and matching the results with a pH scale and an alkalinity test pad. The entire test process takes only half a minute and gives you important insight into the quality of your drinking water. The strips are sensitive to detect the pH ranging from 6.0 to 9.0, letting you test water samples with wide range of acidity or alkalinity. pH Water Tests Extended Range gives you access to even more sensitive strips that can detect the pH levels ranging from 2 to 12. How to Balance the pH Value of Your Drinking Water? 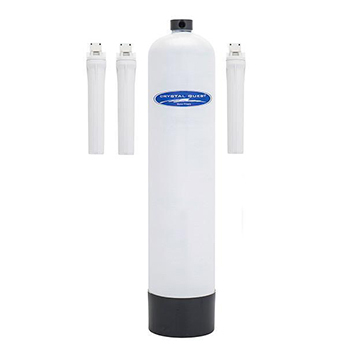 If your home test kit has shown your drinking water to be acidic, the best way to neutralize it is to get an Alkalizer Remineralizer Whole House Filter. This simple and ingenious filter uses the efficacy of calcium carbonate media to neutralize the acidic water. When the water passes through the system, small amount of calcium carbonate gets mixed in, bringing the acidity down. The remineralizing quality of this filter can be considered an added bonus. It works perfectly well with your reverse osmosis system to add the essential minerals back in, making for healthier and better tasting water. It is a highly effective and efficient way to access clean and healthy drinking water. The media used to neutralize and mineralize the water lasts for about 2 to 5 years, allowing you to access the goodness of pure water for years without any hassle. 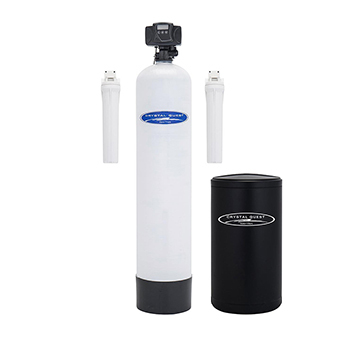 For alkaline, high pH and hard water, consider a Water Softener or Anti-Scale Conditioner. 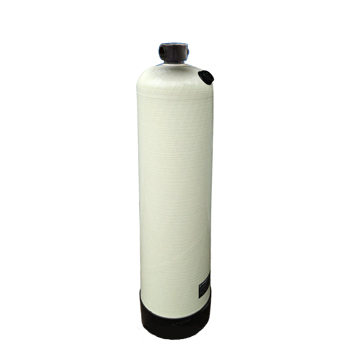 Softeners remove hardness and calcium from water, they will have to be periodically regenerated with salt. Anti-scale conditioners modify calcium and hardness ions in order to prevent them from attaching to plumbing.